This week: Europe, US election coverage, the RBA’s monetary policy and the cost of free range chickens. 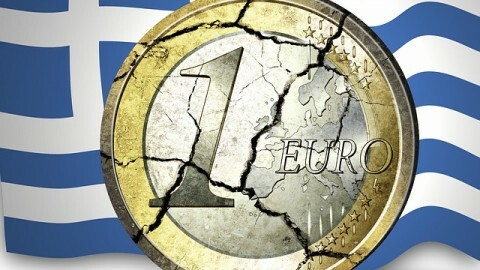 Greece is politically and economically bankrupt. Unemployment is 24.4% and destined to get much worse with the latest round of austerity measures. Yesterday, in a massive breach of security, Greek citizens stormed the defense ministry. Shortly afterwards the Greek Prime Minister issued a statement warning of societal disintegration without urgent financial aid, which you can read in the article. Probably hidden under the radar of most people, Portugal is still struggling on the life support from the Eurozone countries. A recent study done by several credit rating agencies reveals the weaknesses in the Portugese economy and what needs to be done to prevent futher collapse. Be it ideology or stratagem, the GOP has blocked pro-growth policy and backed job-killing austerity and all while blaming Obama. Is the goal of the Republicans – getting into office – coming at the cost of the greater American public? The Guardian discusses. Following on from the article last week discussing the reliability of economic indicators, it would seem that the presidential candidates still have their eyes firmly on this all important percentage in their bid for the white house. A brief summary on the perspectives of the two sides. An in depth look at the RBA’s monetary policy decisions over the past few years. Has the RBA made a mistake in raising the interest rate by 1.75% between 2009-2010, and what are the after effects that we are feeling now from that decision? Alan Kohler takes a look at all the possible implications from the exchange rate to the possible future course of the interest rate. Is the Mining boom over? The Treasury Secretary, Martin Parkinson, says the mining industry will continue to increase its contribution to the nation’s economy. Animal rights activists often oppose agricultural reforms on the grounds that they make animal production more efficient – I.e. because reforms make it easier for capitalists to turn animals into food. Improbably enough, industrial producers of animal products agree as poorly treated animals may not be productive. So that raises the question of, what drives animal welfare reforms and who are the real winners: The owners, the activists or…the animals? VIDEO Robert Neuwirth spent four years among the chaotic stalls of street markets, talking to pushcart hawkers and gray marketers, to study the remarkable “System D,” the world’s unlicensed economic network. Responsible for some 1.8 billion jobs, it’s an economy of under-appreciated power and scope. Hear his remarkable exploration of what is potentially the second largest economic network in the world.